Round 2 mm There are 5 products. 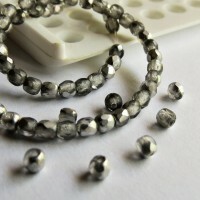 Czech fire polished beads with Valentinite golden half-coating. Looks very elegant. Sold in pack of 100 pcs. Czech Fire Polished beads have a slightly oval shape. 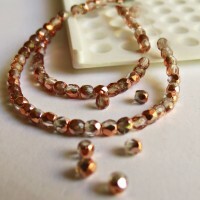 Czech fire polished beads with Crystal Capri Appolo half-golden coating. Sold in pack of 100 pcs. Czech Fire Polished beads have a slightly oval shape. 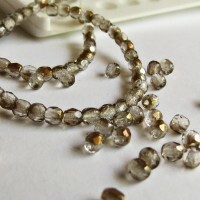 Czech fire polished matt beads with Crystal Labrador silver half-coating. Looks very elegant ❤️ Sold in pack of 100 pcs. Czech Fire Polished beads have a slightly oval shape. 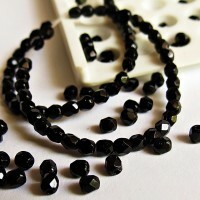 Czech fire polished black beads. Sold in pack of 100 pcs. 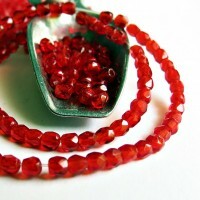 Czech fire polished transparent siam red beads. Sold in pack of 100 pcs.